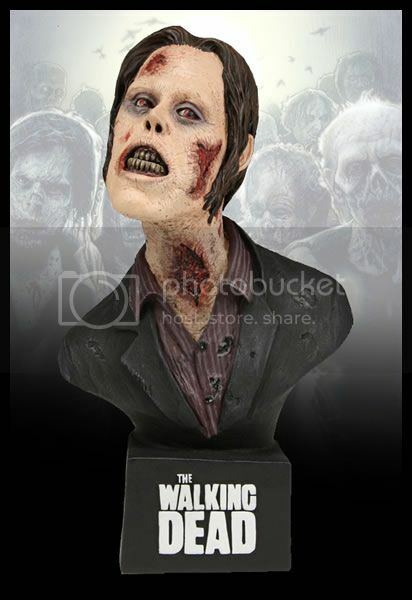 Two brand new collectible mini-busts from the smash-hit AMC television series, The Walking Dead! Designed and sculpted by the KNB EFX Group - the same team responsible for the series' awesome make-up effects - each resin piece is hand-painted and comes packaged in an illustrated box. Choose from the Bicycle Girl Zombie (6.5") or Tank Zombie (6.5") mini-busts.